Vega Magic puts his credentials for the $13 million Everest on the line when he runs at Caulfield. Vega Magic will put his credentials on the line for a start in The Everest when he makes his return at Caulfield. 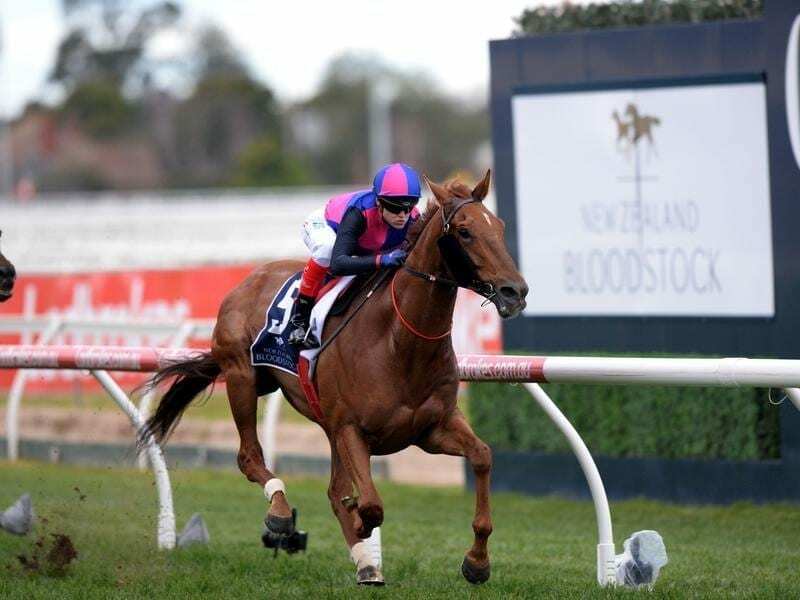 The gelding is one of 13 entries in Saturday’s Group Three Bletchingly Stakes (1200m) with nominations extended until Tuesday. Of the 13, Darren Weir has five nominations including last year’s winner Ability. Senior Lindsay Park trainer David Hayes is confident Vega Magic can earn a ticket to The Everest after running second in the inaugural running last year. Hayes isn’t concerned the gelding has so far been overlooked saying there is still plenty of time. “I think if he’s racing well someone will pick him up but if he’s not then they won’t pick him up,” Hayes said. There are three slots remaining for the $13 million Everest in October. Following Saturday, Vega Magic is to head to the Memsie Stakes, a race he won last year at Caulfield, although Hayes said he may consider another run if he thinks the gelding requires it. “There’s still three months to The Everest and a lot of things can play out between now and then,” Hayes said. “The thing if you’re an owner and you’ve got an out-of-form horse as your slot, you’re ripping up $600,000. “If you’re going to sit there with a proven performer like Vega, if he’s in form, on the sidelines, if I owned a slot with a 20/1 shot and I could have a 3/1 shot, I’d be dropping the 20/1 shot. Vega Magic is unbeaten in two Caulfield starts. Resuming in last year’s Regal Roller Stakes, before his Memsie success, Vega Magic carried 60.5kg to victory, conceding 6.5kg to Brave Smash and 6kg to Santa Ana Lane who have both been snapped up for this year’s Everest. Vega Magic missed an autumn campaign after suffering a cut leg in a paddock accident and finished eighth in The Goodwood at Morphettville in May. He won a jump-out at Flemington on Friday when ridden by Damien Oliver who takes the ride on Saturday.